Uftring Auto Blog: Glow Roads? When you hear “glow roads,” what comes to mind? 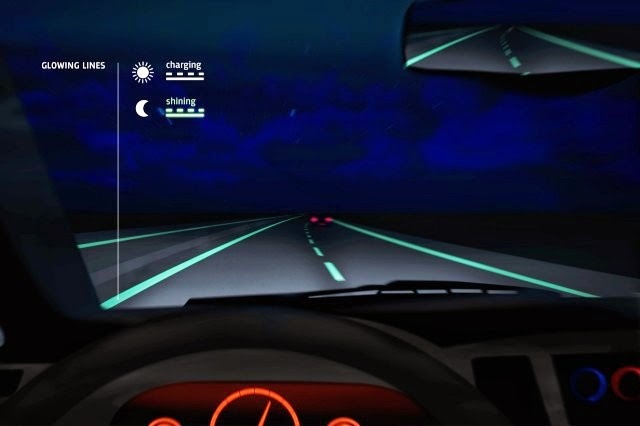 The Netherlands have taken night vision to a whole new level earlier this month by unveiling a road with glowing lines. Using light-emitting paint that glows in the dark, car headlights enhance the paint and allow drivers to see the road and lanes more visibly. These “Smart Highways” are considered a sustainable alternative for roadways that have little to no conventional lighting—giving the driver more lane visibility. There’s a possibility that glow roads will save loads of money on streetlight power. Perhaps more enhanced nighttime visibility will make drivers more alert on the roads with greater visibility while driving when the moon is out. Thinking outside the box with sustainable efforts is so important to help save our environment, and the Netherlands are right on track with this idea. What do you think? Would you like to drive down a glow-in-the-dark paved road?